ABOUT – Robert James Kirk. 30 years of crafting out a living from the music industry. 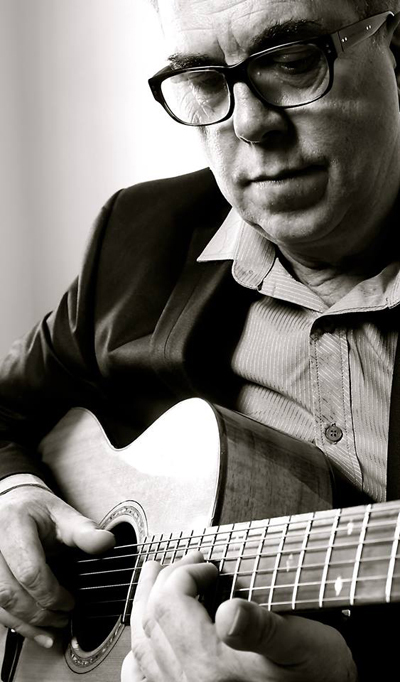 From busking on the streets of Wellington, where he first found fame as a schoolboy, to playing in original and cover bands on 4 continents and working as a session musician with dozens of industry leaders, has enabled Robert James Kirk to hone his skills as a very accomplished guitarist and vocalist. A natural front-man with a magnificent vocal range, drawing inspiration from the likes of John Hiatt, Johnny Cash, George Harrison, Bob Dylan and many others, along with the stimulus of growing up in country New Zealand, Robert James Kirk has created an amalgam of words and music that is truly unique yet has a familiarity that makes you feel comfortable from the first listening. It is at times difficult to marry the darkness of some of the lyrics with the affable entertainer who strives to ensure that everyone gets maximum value and enjoyment from every gig and performance. Join Our Newsletter & Receive a FREE Track! Enter your email address in the form below to receive your exclusively FREE track!